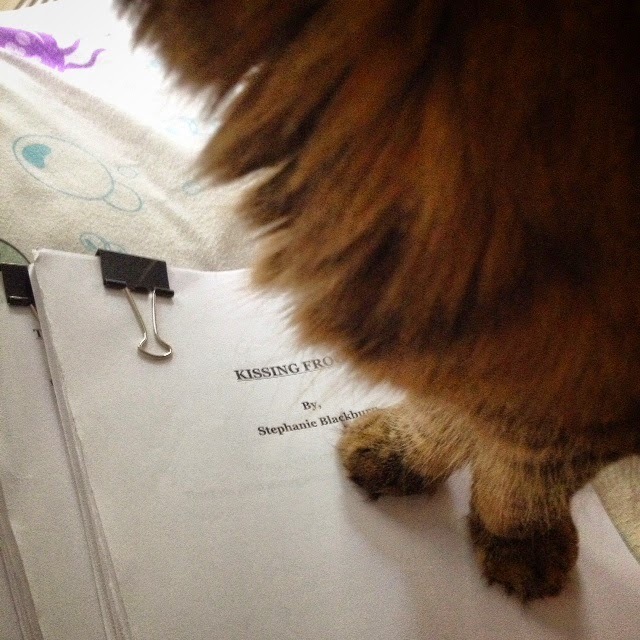 Saturday I spent the entire afternoon on my bed with the kitties reading the last 100 pages of Kissing Frogs aloud. I was hoarse and the cats fell asleep. But I finished! So as a treat I allowed myself to make something Sunday morning. 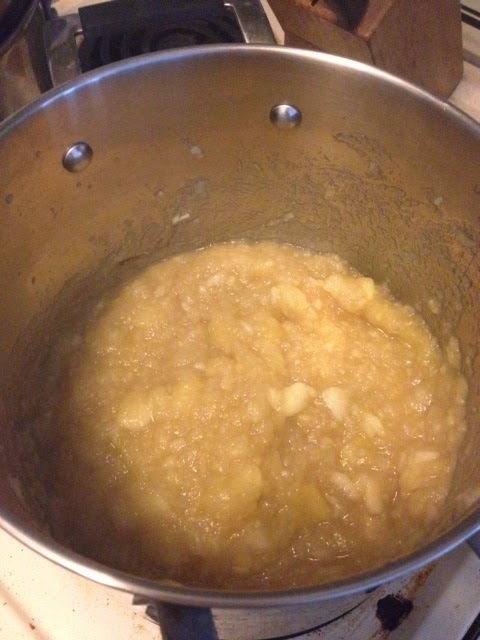 One of my premiere memories of childhood Autumn is my mother making applesauce. Soccer tournaments, crunchy leaves, cold mornings, but my mother baking anything apple related sticks out. I do not have a food mill (though I'll probably be buying one soon) so this wasn't quite the way my mother made it. She would leave the skins on when cooking the apples down so that when she pushed them through the food mill it would turn pinkish in colour. 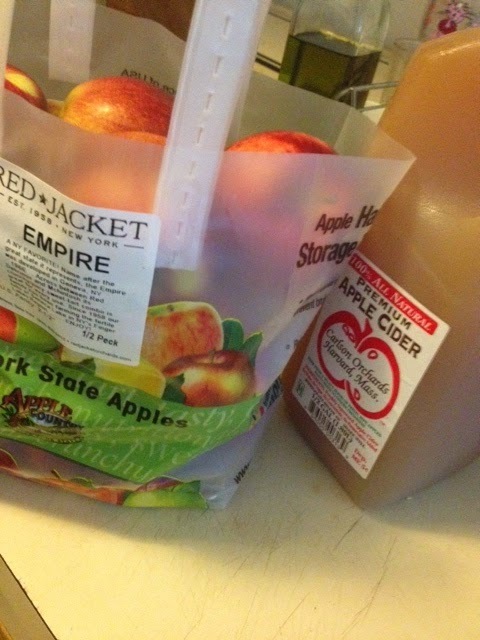 She also only ever used apples and water but I chose to use apple cider in place of the water. 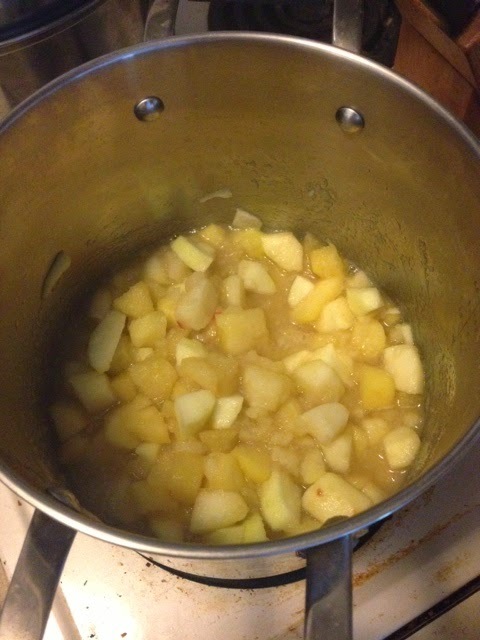 I found other recipes online that add sugar but I really love the simple, unaltered apple taste. Peel and core the apples. Dice them and cook them on low-medium heat with cider until they cook down. Stir often. I still had some big chunks of apple so I spooned those into the food processor and gave them a few pulses just so they wouldn't be big still. However, I kept it pretty chunky. 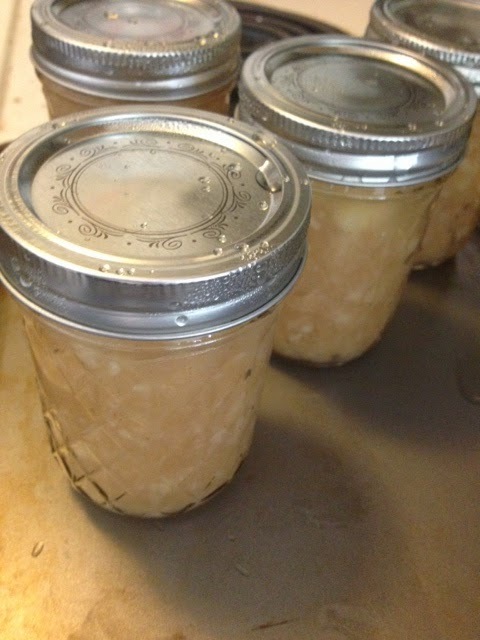 Then I canned them so I can give them to friends! 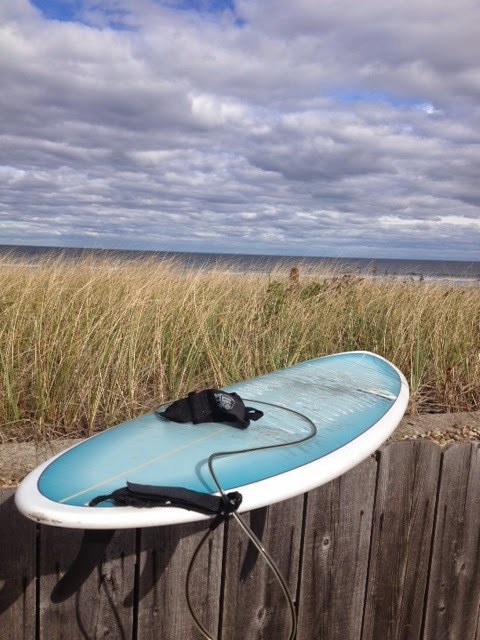 And then, after canning the apple sauce, I went to Nantasket to surf. The water was rough and I had no business being in those waves. I paddled into a wave that ended up being a perfect barrel but I wasn't ready and my board dropped out beneath me. But I was determined to catch one in. So I sat out there alone, maybe 50-75 yards offshore watching the horizon a black head popped up about twenty feet away from me. This is a bit far out for a dog to be swimming, I thought. In fairness, there was a dog fetching a ball in the shallows so it's not like it was the most idiotic thought to have. But it wasn't a dog. It was a seal. And when it came up the second time and looked at me with its black eyes I panicked and paddled for shore. Because all I could think was that he might be trying to outswim a shark. I think it's safe to say that I'm done surfing for the season.